We often think of weight loss as one-dimensional process: If you exercise and sweat at the gym and eat less you will burn fat. Of course this is a much more complicated subject and looking into intermittent fasting results and hormonal interactions, we begin to uncover an amazing picture. The big question I want you to ask yourself is: regardless of what it is that you do in your training / diet – how do you know if you’re breaking fat or burning it? Do you have a system? A couple of years back, when more intermittent fasting science research papers surfaced, a new opportunity came about. On one hand, the conclusion showed consistent intermittent fasting results following several different protocols (some were more about aerobic training and sweat, others about HIIT workouts and some didn’t include any exercise). On the other hand, a lot of the research, while quoting many variables, was still revolving around caloric deficit – or the idea that skipping meals, would mean less calories which would lead to weight loss. An idea that sounded simple but was profoundly misleading the fitness community. We already knew what sort of intermittent fasting results we can expect, but we also knew that using calories as a system were somewhat faulty (you can see the evidence here: calories to lose weight). That opened up a unique opportunity to look at the research and conclusion with fresh eyes. What were findings, what were the assumptions and what can we conclude? It is also worth noting that the UK’s BBC, was one of the first mainstream media to really take the research seriously. It took the world a long time to catch up and consider the studies, and the program was done years after the original publication, but they finally did it at 2012 (see: BBC Horizon – Eat, Fast and Live Longer). Personally, I had a bit of a look behind the scenes as at the time, I was training one the investigative journalists who researched the material for the program. Curiously enough, the program focused on many of the other long term health benefits of intermittent fasting, but it did not go into the extreme weight loss aspects. As it turns out, this is due to political correctness and body-image issues (they were afraid to give anorexic individuals a reason to starve themselves so they never covered the extensive research that was relating to weight loss). A massive improvement in health, blood lipid profile and markers of longevity – It seems intermittent fasting diet is a reliable way to improve organ recovery and markers of longevity. This could very well hold one of the biggest keys to longer, healthier life. Remarkable improvement in weight loss – while the original research assumed it was due to skipping meals (less calories), there have been other findings that may explain the increased rate of weight loss to a better degree. We are going to touch on them in a minute. It does however worth mentioning that intermittent fasting for weight loss have the potential to get you in a prime state to lose fat at an accelerated rate and keep you leaner. 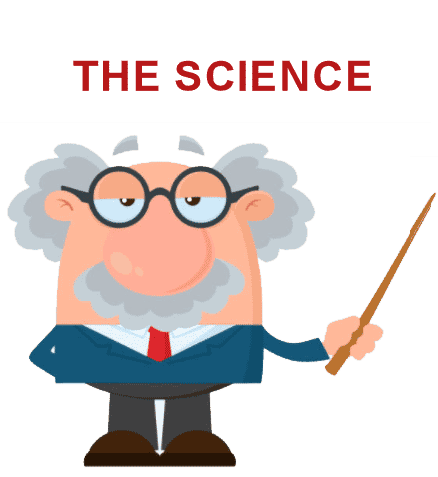 Consistent results regardless if you’re experienced or are a beginner – One of the beautiful aspects of the research is that it consistently delivered results, both for newbies and experienced people alike. It also didn’t have a one-off effect which meant that with every fast, we could expect some benefit. That also means that a daily fast is consistently better than alternate day fasting when it comes to fasting periods as you can get benefits on a daily basis. A significant reduction of Insulin and significant increase in HGH (human growth hormone) – this comes naturally with the reduction in blood glucose over time. This finding ended up spiraling and having good applications for type 2 diabetics who were seeking to reverse their insulin resistance. Besides that, due to Insulin fat storing properties, sustained low levels of Insulin meant subjects were able to store less body fat. Combined with the fact that human growth hormone (hgh) is great at breaking fat tissue (including stubborn fat such as the one in your belly), and walla! We got the perfect storm to initiate faster weight loss, assuming we know how to use those hormonal states to our benefits. Gut repair – healing effect was noted on the intensities and digestive system. This is one of the most interesting findings as we now know that gut health is central to metabolism and good health. Ironically, it also highlights the fact that eating small meals every few hours (to “keep your metabolism high”) as often suggested by the health industry, works against our gut by not letting it repair. This in time deteriorates our health and in a way, interferes with metabolic reaction – which fails us as a long term strategy for wellness. Increase in abdominal blood flow – I found that really interesting because of the properties of belly fat (or any other stubborn fat area in the body) is the lack of blood circulation. If intermittent fasting can help us increase blood circulation, we can increase the deliverability of hormones (such as hgh which breaks belly fat) as well as blood oxygen which is vital for the process of fat burning. Mitochondrial adaptions (cellular fat burning) – depriving glucose through intermittent fasting not only results in more fat breaking hormones (and therefore broken fat in the forms of free fatty acids) but also, more ketones (as in ketogenic state). The more the cells were exposed to those conditions, they more they adapted to burn fat. We call this “metabolic flexibility” or being fat-adapted. An inhibition of Alpha-2 receptors in abdominal fat – this is especially important as belly fat and “love handles” are extremely high in alpha-2 receptors which acts as guarding mechanism to fat-breaking. Having them active on our stubborn tissue means we can expect to struggle losing belly fat. If intermittent fasting can help us inhibit them, that also means we gain more access to belly fat than ever before in comparison to traditional weight loss methods. This is part of the reasons “weight loss” can never be complete without intermittent fasting as we often neglect inhibiting alpha-2 receptors which only a few methods can achieve. While not being the only method, intermittent fasting is by far the most natural and easiest way to temporarily inhibit alpha-2 receptors and allow us to access stubborn belly fat more easy. Reduction of active cortisol receptors in abdominal tissue – your abdominal tissue has about 400% more cortisol receptors that are making it easy for the body to store fat in response to stress. Fasting regularly is not only good for your stress response but also for preventing a certain degree of fat storing in response to stress! Unlike calorie restriction, which has its fair share of problems, we got a spike in all the necessary hormonal reactions to condition better weight loss past a 12 hours fasting period. Something that never happens with calorie restriction alone. Indeed, for the first time, ignoring the calorie base and looking at these amazing results, a picture has started forming: A sequence to weight loss that relies on hormonal reactions and not calorie calculations! Can it be true?? Here’s a sneak peak into the intermittent fasting diet plan in the BellyProof program. You’ll find there are a few methods recommend out there to fast, some are daily (based on 18h fast and 6 hours of feeding) or (16/8 etc..) others ask you to fast for 24h every other day. Elevation of Growth hormone and a significant reduction in Insulin levels. All of these create the perfect storm to break fat more efficiently if training correctly, while having better access to deep tissues that usually have receptors induced resistance to them – such as belly fat and love handles. What can be better? Much of the nutrition in the program, is conditioned upon the fasted state which we hold sacred. But this is quite easy. If you train in the morning, you already should be getting 7-8 hours of sleep in the night, time where you are unlikely to eat a full meal 🙂 What’s more, if you leave a few hours before bed without food, you are likely to get to the gym at an optimal fasted state of 12 hours where you can enjoy all the mentioned benefits and see a massive increase in the intermittent fasting results regarding your belly fat. A fun fact is not only you can do this daily (assuming you value your sleep and have a good schedule of training), but you can quite easily gather another interesting contradiction here. This system forces you to skip breakfast. Yes – you are reading this correctly. If you still think breakfast is the most important meal of the day, surely this provides something new to think about? We cover that in far more details in this blog post (is breakfast the most important meal of the day) and again when explaining that it may not be ideal if you still calorie count. In short, we are often compared to machines, fearing a state of “starvation mode” which doesn’t really apply for most of us. In reality, we are more like wild life, who doesn’t wake up in the morning to breakfast bur rather wake up hungry. This is called “fight or flight”, and most animal fight – they hunt (intense physical exercise) and only then feed. Not only intermittent fasting doesn’t slow you down (due to “lack of energy”), it actually heighten your senses, your adrenaline response, your strength and your speed. Admit it, you are at your best when you’re hungry. What does it mean for your weight loss results? So what is some of the essence behind the sequence? We must break fat (lipolysis) before burning it (free fat oxidation). Otherwise the body resorts to using primarily glycogen fuel and the attached water (2.7g of water to every 1g of glycogen – that’s a lot of water weight). Two of the most primary hormones that act on fat tissue are Adrenaline & HGH and neither of them plays friendly with Insulin. Especially with belly fat (highly relevant to skinny fat people), we have a huge level of resistance from active Cortisol receptors, Alpha-2 receptors and restricted blood flow (which is why your belly is often colder than your face). All of which happen to correlate with Insulin. The conclusion was fairly simple, we must get Insulin low, find a way to spike Adrenaline & HGH while inhibiting Cortisol & Alpha 2 Receptors. 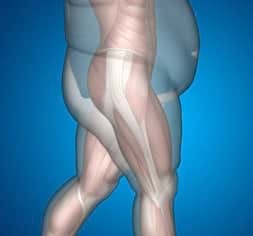 At the same time we need to increase blood circulation and finally, if we did all of that correctly we would have achieved superior breaking of fat tissue (lipolysis). Then we simply have to burn the fat via aerobic style training that will help us oxidize those freely floating fatty acids we worked so hard to get. More is better and less equals either water loss or fatigue, but not so much as actual fat loss. If not followed, where we do lose fat, is only where the same hormonal conditions are maximized, which is almost never around the stomach, love handles or chest. Of course this is a partial picture, we also have other hormones (for example testosterone and estrogen), as well as a better definition to aerobic and anaerobic training by understand muscle fiber type and it relative use or misuse of oxygen. But on the surface, that creates a blue print for success with fat loss, where previous working practices were misleading, to say the least. 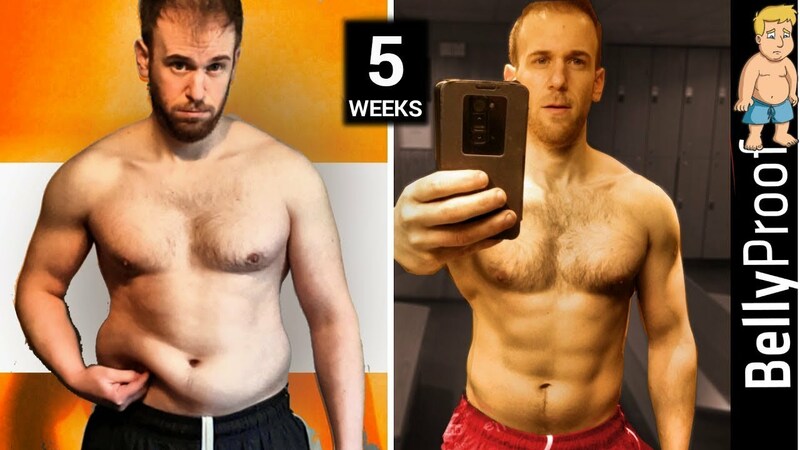 You can see some remarkable intermittent fasting success stories in our results page. For quite a while, using high intensity interval training was known for better fat loss, especially when done fasted (i.e. intermittent fasting). 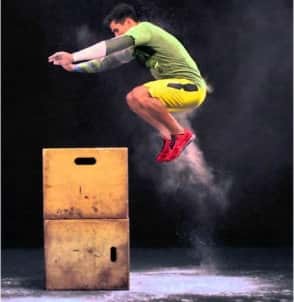 To this day, people attribute it to an increase in metabolic rate, since metabolism is the sum of all reactions, we decided to look more carefully what these type of workouts achieves so we can filter out the best while ignoring the noise (calorie and metabolism arguments being the noise). What we found was interesting! The ultimate hiit workout works on explosive movements and short rests (whether it’s tabata workouts, sprints, burpees or anything else with short intervals). This in in contrast to a cardio workout which is done at a steady pace. Explosive movement are typically associated with type 2b muscle fibers of the working muscles involved. The same applies to a method known as eccentric training or slow and heavy strength training. It turns out that the super slow (and engaged) and the super fast, both require higher threshold muscle fibers, type 2b. Here’s the interesting part: if these are done when Insulin is low, we will get a heighten fight or flight mode (like a cheetah before it hunts – call that one serious high intensity training). This results in more growth hormone secretion and more adrenaline secretion, hormones that are associated with lipolysis (what we like to call.. FAT BREAKING). A good way to know you’re performing an hiit workout at a good intensity is having your skin very hot to the touch (like a hot flush), being out of breath and yet relatively speaking, not breaking too much sweat (a little bit is given though). At some point, after we broke a significant amount of fat, it’s time to do something with it – that something is fat burning. Unlike high intensity interval training which is characterized by an adrenaline buzz, more aerobic efforts would often result in sweat. Even if you are not a beginner, you would know that the health and fitness industry looks at aerobic training and think about the heart working with more oxygen. Truth is, the heart is one muscle out of many. A better way to look at it is operating as much of the body as we can, in low-medium intensity. We are trying to shift from type 2b muscle fibres to type 1 and type 2a muscles fibres which are fat more suited for dealing with oxygen and fatty acids. Of course, using a fatty acid through oxidation, is exactly what we are after and it’s called FAT BURNING and when you do it correctly, you are going to SWEAT. Holding a static position and resisting change (i.e. a stability challenge). Moving dynamically in low to medium intensity, which could be done with weights as well. Moving dynamically while having a stability challenge. 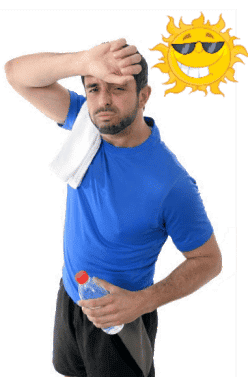 This will make your muscle activity much higher which will also result in body heat and therefore increased joy when it comes to perspiration and sweat glands. Combining large movements with stability challenges makes you sweat more and it makes sense. When you work in this way, you have to use not only the obvious “working muscles” to move, but every other muscle in your body to stabilize and not lose your position and alignment. This means you operate far more muscle groups at once. The moving muscles are probably working more with type 2a muscle fibers. The non-moving muscle who are working hard to stabilize, are often doing it through type 1 muscle fibers. These means a massive increase in capacity to burn fat. The BellyProof (registered trademark, all rights reserved) protocol represents the next big leap over previous advancements such as leangains, 16/8 and the original 24h “eat stop eat” intermittent fasting methods. The BellyProof program outline a highly practical way to do intermittent fasting for weight loss, specifically. It’s so practical that doing it every day becomes a habit. After all, if you take into account the sleep factor, skipping breakfast and leaving 2-3 hours after dinner, you can already get a clear picture why this would be an easy system to follow. You could read about the full protocol (Called “LION”) here.